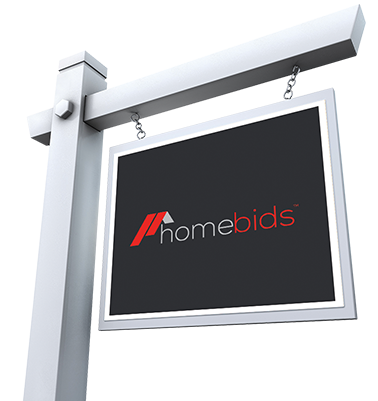 “homebids” is a Hybrid between real estate auctions and traditional real estate. We took the best features from real estate auction and traditional real estate and created a process that works better than any other selling method in any market condition. The “homebids” method of selling real estate gives Buyers and Sellers more options when buying or selling real estate. With the “homebids” option, real estate commission can be paid by the Seller, the Buyer or both. The Buyer’s side of the commission is called “Buyer’s Premium”. (Highest Bid + Buyer’s Premium = Sales Price). Buyers approved for bidding manually by the Seller or Seller’s agent, or instant Buyer approval online by credit card. Once the highest bid is accepted by the Seller, Buyer goes into escrow with all Buyers’ contingencies and inspection time frames in accordance with the purchase contract specific for the State where the property is located. Cutting edge Real Estate technology with full Broker representation and professional marketing specialists offer you the most advanced and efficient method of selling Real Estate. “homebids” works in any market conditions and brings multiple offers on a property within 15 days or less in most cases. Sellers will be able to watch the entire process on their computer, from the comfort of their home or office. Sellers have total control and there is no risk involved because the Seller reserves the right to accept or reject the highest bid. “homebids” option reduces the number of showings since the property will be shown at the open house dates only, (unless agreed otherwise). Prospective Buyers are approved through the online system. Unlike Real Estate Auctions, where Buyers have to go in to escrow with no contingencies and non-refundable deposit, “homebids” is simply better. At the end of the bidding process, the Buyer may proceed with a standard Purchase Agreement, with all Buyer’s contingencies and inspection time frames. The whole process is transparent and convenient, that’s why Sellers and Buyers like it. Why getting bound by 6 months or longer listing agreements, when “homebids” delivers in 15 days or less in most cases? Choose a method that gives results. Think outside the box. Technology is changing very rapidly the real estate industry. Let our advanced technology, online marketing campaigns, and the human touch of a real estate broker sell your property in record time and save you a lot of $$$ in commissions. By using our state of the art technology doesn’t mean that we don’t pay attention to the human side of the business. We are here for you but we also engage our marketing skills and technology to bring your property on the first pages of major search engines.